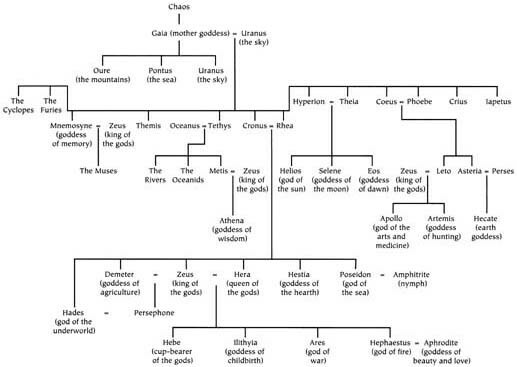 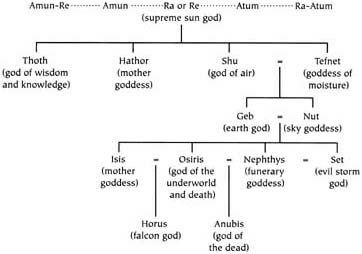 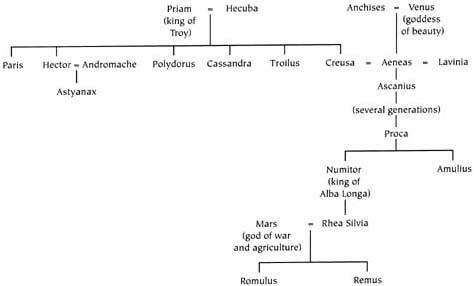 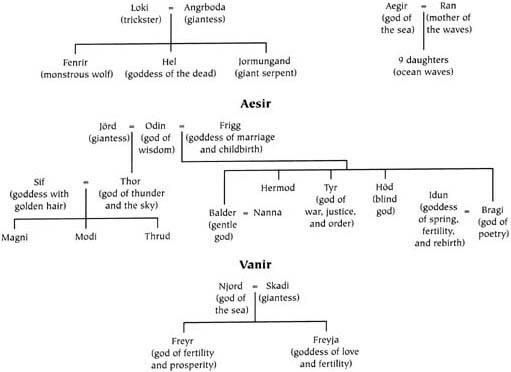 Family trees of gods and other figures in Greek, Norse, Arthurian, Egyptian, and Babylonian mythology appear on the following pages. 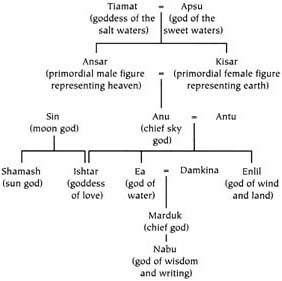 Few of the characters of South American, African, Oceanic, Native American, and Asian mythology are members of the same family, but charts of the major figures appear throughout the encyclopedia. 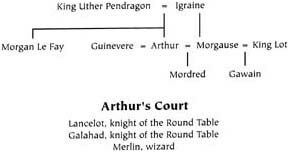 A list of these charts is found on page x of volume 1.